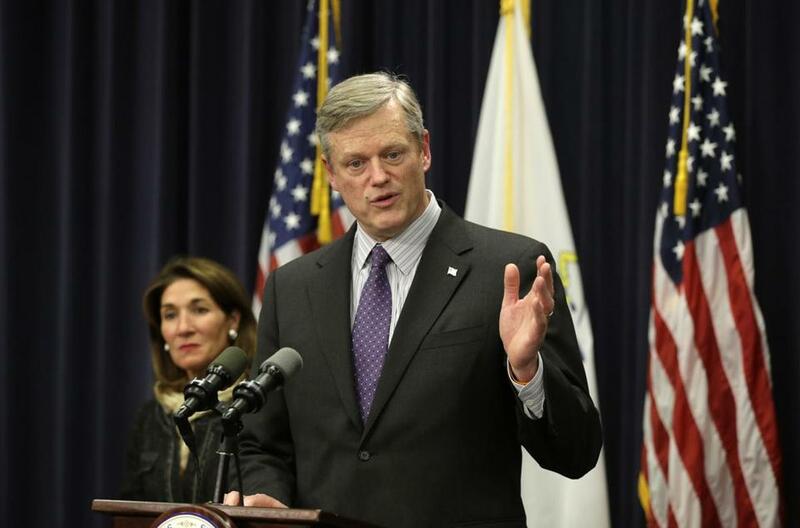 Governor Charlie Baker and Lieutenant Governor Karyn Polito have set a fund-raising goal of $30 million for their reelection campaign. Republican Governor Charlie Baker, riding high in the polls and facing an unsettled field of potential Democratic challengers, has set a record-shattering fund-raising target of $30 million before next year’s election, according to two members of his finance committee. The goal, made feasible by an elaborate campaign finance operation devised by the governor’s political team, would almost certainly give him a crushing financial advantage over his eventual Democratic challenger next year. The joint political team for Baker and Lieutenant Governor Karyn Polito is looking to accelerate its fund-raising for the rest of the year, telling finance committee members at a meeting this month that it wants $10 million on hand by September, then another $8.5 million by the end of the year, according to one committee member and another person, both of whom attended the meeting. Baker and Polito, a close ally, already have a combined $8 million in their individual campaign accounts, after raising an aggregate of nearly $2 million since the beginning of the year. An outlay of that scope would approach what all constitutional-office candidates — for six posts — spent in 2014, when 29 individual candidates spent an aggregate total of $33.1 million. That year, eight candidates for governor spent a combined $20.2 million. Baker raised $5.8 million that cycle. Those figures, though, don’t allow for an apples-to-apples comparison, because Baker also relies on a novel financing technique that permits his campaign operation to raise and spend vastly greater sums. As in the 2014 cycle, he will draw on the assistance of a federal fund-raising vehicle, known as MassVictory, which can accept contributions up to $43,900 per year — far above the $1,000 limit on state campaign accounts. In the 2014 cycle, that committee raised and spent nearly $2 million. Political aides sought to downplay the significance of the push for the eye-popping $30 million total, which involves several different funds controlled by Baker’s political operation. “Building on his bipartisan record of accomplishments, Governor Baker . . . is fortunate to have the support of individuals across the Commonwealth,” said Jim Conroy, an outside political adviser. Baker has not yet announced plans for reelection, saying as recently as last Monday that he and Polito would decide whether to seek a second term in the fall. Still, his fund-raising operation has never slowed down, and this month’s finance committee meeting provided the latest reminder that the governor intends to overwhelm, with a massive cash advantage, whichever Democrat emerges from the primary. One attendee said Baker — speaking after his aides and Polito addressed the group — rattled off the shares of Republicans, Democrats, and independents whose votes he will need to win next year in order to secure a second term. The governor said he must draw nearly a third of Democrats and almost 60 percent of independents. Without mentioning President Trump, who remains deeply unpopular in the state and with whom Baker shares a party affiliation, the political staffers counseled the crowd not to expect a runaway victory. Baker’s would-be Democratic challengers lag far behind in the cash race. As of mid-May, Jay Gonzalez had just over $80,000 in his campaign account, Newton Mayor Setti Warren had less than $56,000, and Robert Massie under $13,000, according to state campaign finance filings. Those candidates will likely need to battle each other, and spend heavily, before the September 2018 primary gives one of them a straight shot at the incumbent. “What’s particularly striking about this election is that the Democrats already seem to have conceded it,” Berry said. In 2014, Baker beat Democratic attorney general Martha Coakley by less than 2 percentage points, about 40,000 votes of more than 2.1 million cast. Since, he has had to navigate a political landscape dominated by Trump, who has alienated many of the state’s moderate voters. Baker did not support Trump, but Democrats will likely seek to lash him to the president and the GOP-controlled Congress, also unpopular here. The Baker-Polito team pointed to two signature fund-raising events on the summer calendar, according to two people who attended the finance committee meeting. Next month, the party’s Lincoln-Reagan Dinner will feature former Boston police commissioner Edward F. Davis as a special guest. In July, finance committee members who give or raise $15,000 before the end of that month are invited to a two-day retreat in Osterville. During the evening meeting at the World Trade Center in the Seaport District, aides held up as an “unfortunate comparison” the political situation encountered by former US senator Scott Brown in early 2011. The Republican began the year with an $8.3 million war chest and, a few months later, a 73 percent approval rating — similar to Baker’s in recent polling. Brown lost in 2012 to Democrat Elizabeth Warren, who swamped him in fund-raising. Registered in Washington, MassVictory, the federal account, has been churning since Baker took office in 2015. The fund has banked nearly $4 million, transferring much of it to the state GOP. Since the start of the year, the committee has cashed five-figure checks from some of the state’s leading business figures, including Suffolk Construction founder John Fish, developer Joseph Fallon, and automotive heir Ernie Boch Jr. The record for spending in a gubernatorial race was set in 2006, when a three-way Democratic primary and a contentious general election for an open seat yielded more than $42 million in spending. The top spender that year was then-Lieutenant Governor Kerry Healey, a Republican who spent $13.2 million, according to state campaign finance officials. But that election came before a Supreme Court ruling that deregulated money in politics, allowing “dark money” to play an auxiliary role alongside the regulated, disclosed funds that flow into individual campaign accounts and PACs. In 2014, Baker — who won that election by the narrowest margin in 50 years — benefited from more than $11 million in spending by the Republican Governors Association, a group with which he has maintained close ties.